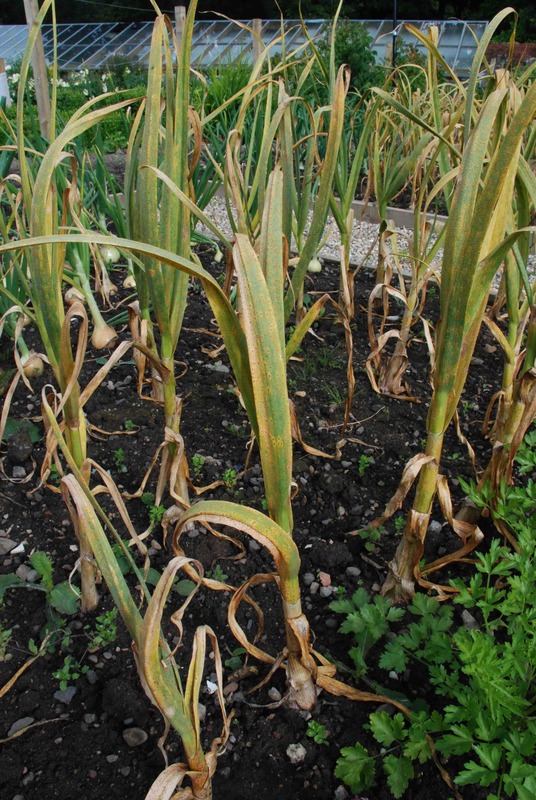 Puccinia allii (leek rust) has struck the garlic hard. 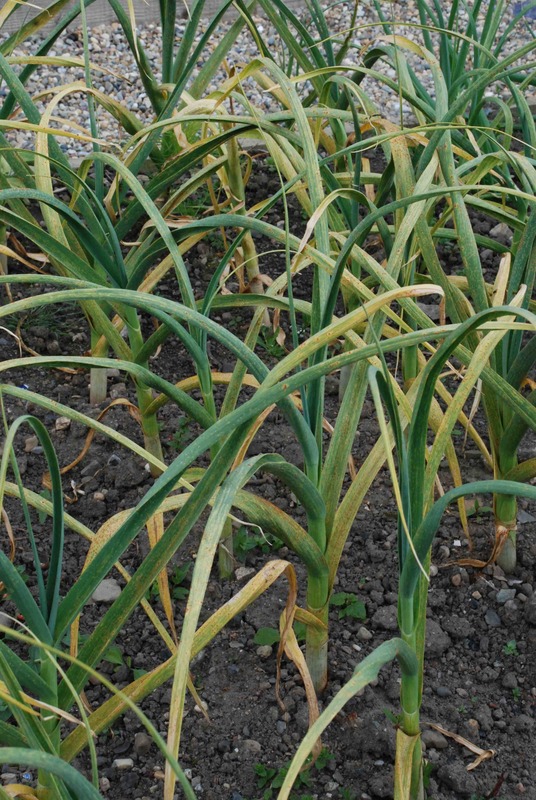 I had some on the last of the leeks earlier in the year but I had hoped that by getting them all harvested before it got too bad it would not spread to the garlic. 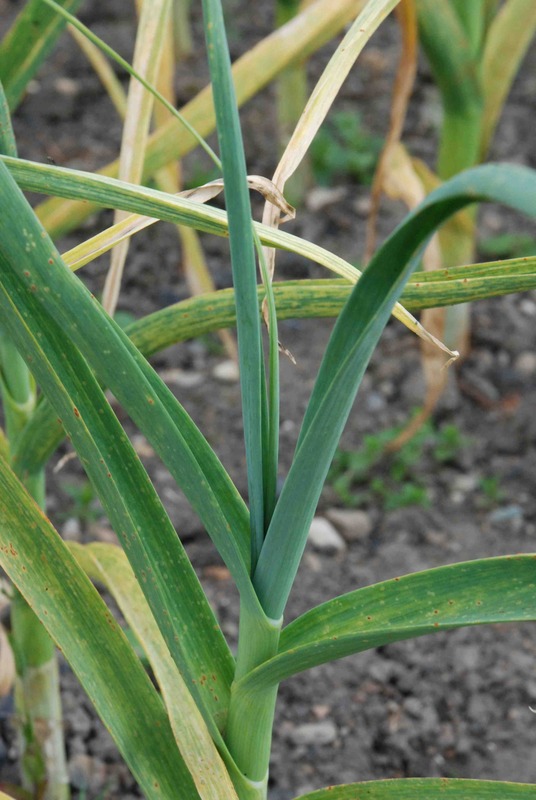 Leek rust can affect leeks, garlic, onions and chives but so far only the garlic has been affected – and boy are they affected. I grew three varieties this year and it is interesting that one of them is far less badly affected. All the garlic was planted last autumn and grew well but a month ago the rust started. 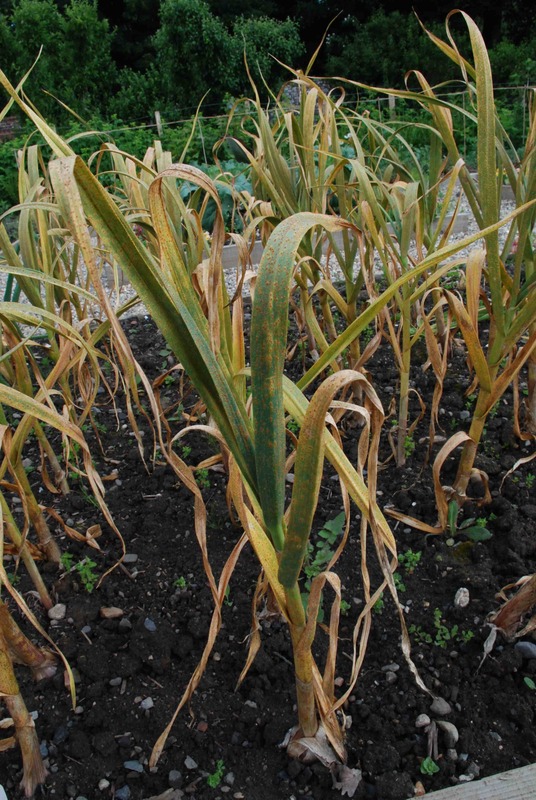 I am hoping that the bulbs will not be too affected by the loss of foliage – we will find out in a month or so. 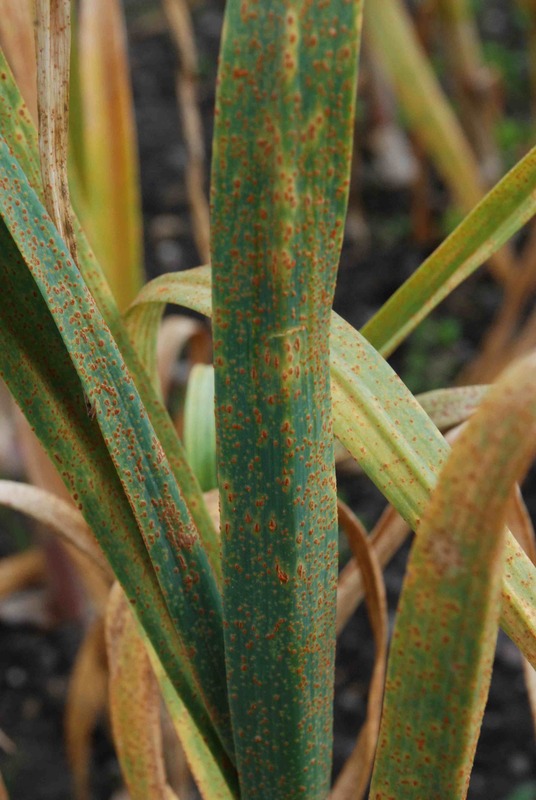 There is no chemical control for leek rust. 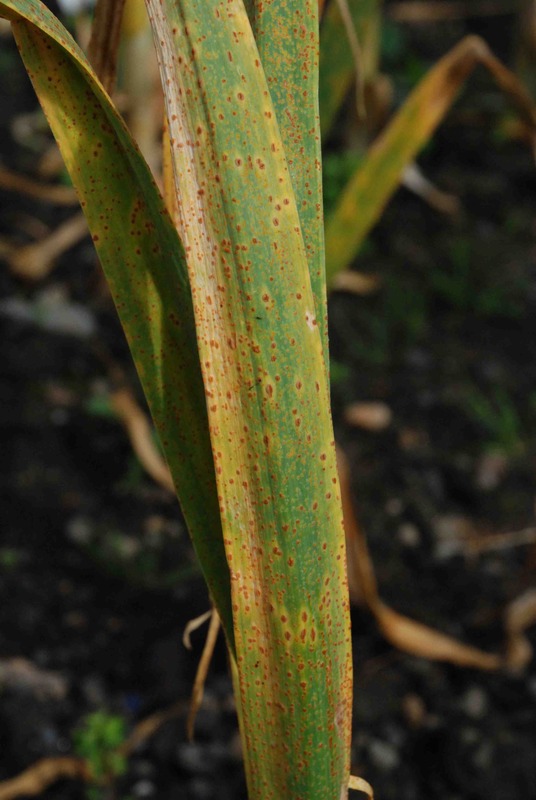 You should avoid nigh-nitrogen fertilisers, which encourage soft growth, should give plants sufficient space and you have to hope for dry weather which may help.